Flashback Summer is back! 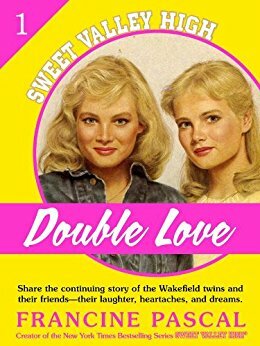 With Kait camped outside of the Imperial Theater waiting to see Dave Malloy in Natasha, Pierre, and the Great Comet of 1812, Becca stepped in to join Renata and their guest Kristi to discuss Double Love by Francine Pascal, the first of a great many Sweet Valley High books. Renata and Kristi were shocked to see that the series they remembered fondly from their childhoods begins with a kidnapping and assault. Becca, meanwhile, was shocked that anyone actually read these. Pull your gold lavalier necklace out of storage and return to Sweet Valley! Promotional note: Come see us live at the Freepoint Hotel in Cambridge, MA on June 20th at 7pm! Thank you note: Thanks to Doug for sponsoring our Patreon! Check out his blog, What Did the Woggle-Bug Say? Candy pairing: Becca says Warheads Extreme Sour, Kristi says cotton candy or Sugar Daddies, Renata says Mountain Dew. Coming up next: Horse Shy (Saddle Club #2) by Bonnie Bryant.